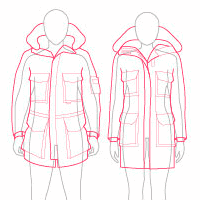 Hi, I am wanting to purchase the ladies Expedition parka. I am female 5’9″, chest 37.5″, waist 30.5″ and hips 37.5″. That puts me between a Medium and Large. I have very long arms. I will be in Churchill in winter and also Antarctica. I will at times need to layer and other times not. Just not sure whether to purchase the Medium or Large. Thanks heaps. 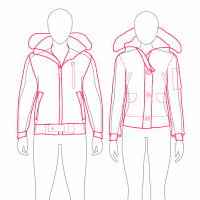 Hello Lyndell, the parka does have a relaxed fit so it will be designed to be roomy. I think a size medium would be fine for you although the only issue would be the chest measurement. I would highly suggest to try on both just to confirm as your other measurements make a medium the best option otherwise you may be swimming in the large. I recently bought a Carson Parker in a medium. I’m roughly 5’8 with a 40 inch chest and 32 waste. I like the coat and it’s pretty cool . The only thing is the arms are a bit long. Is this normal, or should I have gone for a small ? Hello Nick, your measurements are correct for the medium and a small would have been too small. It does happen sometimes that the sleeves will be long but it’s better to have that than a jacket that is too tight or doesn’t fit uncomfortably. I think you went with the right size choosing the medium. Sometimes the ribbed cuffs will make the sleeves of a jacket feel longer than usual which is a possibility with the Carson. 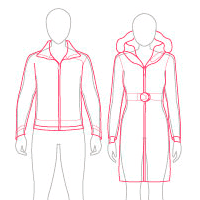 I’m 5’2″ tall and 111 lbs, I want to get a “Trillium Parka Fusion Fit”, and I would like to know about the length of the sleeve. Why is Wyndham not on your list? Hello Ian, it’s possible that the Wyndham was not in stock when this post was originally created as Canada Goose has been adding new models each year. My son is 6’6 with an athletic build, what size and fit would you recommend? Hi Tara, I would suggest referring to the measurements in the size chart as these will be the most accurate for choosing a size. Hi, I’m considering the kinley. I’m 5’10” and 135 lbs. I usually wear S and like when things fit and aren’t too boxy. I’m right on the cusp between s and m. Which do you suggest? Hello Miri, because the Kinley is a slim fit, you may be better off with the medium to ensure you have ample space for comfort and the size isn’t too restricting. If it was a regular or relaxed fit, I would say go small but because it’s already a slim fit, it`s hard to say if the small will still work. If in doubt, the best suggestion is to try on both and eliminate whichever doesn’t feel like the right fit. I have a 38” chest and all the other measurements fall under small..should I get a medium or small in the chateau/Windermere variants? Hello Andrew, I would suggest going for the medium because, with the small, you risk having a coat that does not fit comfortably and may be too tight or restricting in the chest area. In either case, if you want to test the two, sizes, you can order both and try them both on for a more accurate trial and error process. If you’re a lifetime member, you get free shipping on all returns so you can take advantage of that perk.